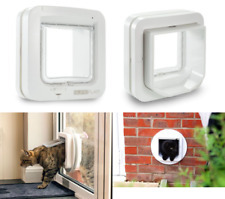 This weatherproof cat flap features the RFID technology and has a manual lock to monitor the entry and exit of your cat. 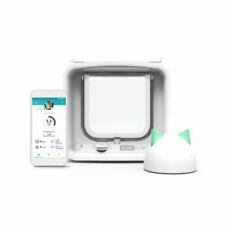 It runs on four AA batteries and is equipped with a low level battery indicator. 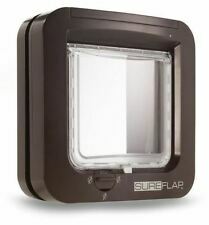 Used sureflap cat flap dcf001 sold as seen in the pictures with no fixing screws. You will receive exactly what is seen on the photos. If there's a problem, just let us know and we will fix it. 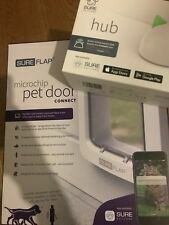 Can be installed in doors, windows or walls - accessories available. 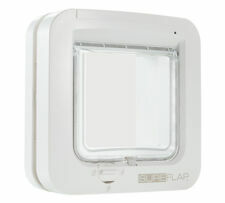 Studio: SureFlap Ltd. Model: Microchip Cat Door- White. CLOTHING |. Orders will be fulfilled by our own warehouse or a 3rd party supplier at our discretion. Colour: White. We promise to do everything possible to put things right for you. 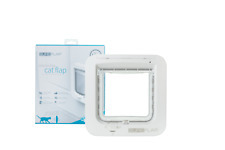 Trixie SureFlap dual scan with microchip identification for cats is made of plastic material. 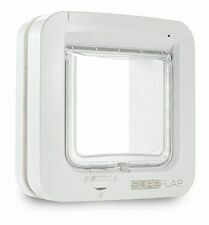 Two-sided scanner allows individual programming of way function for each cat. Installation depth 3-60 mm.